The underlying geology of this region is limestone (it is called the Limestone Coast). As the limestone plateau lifted, areas were dissolved away by acidic waters to form underground caverns and, ultimately, sinkholes. It is exactly the same result as the cenotes in the Yucatan. 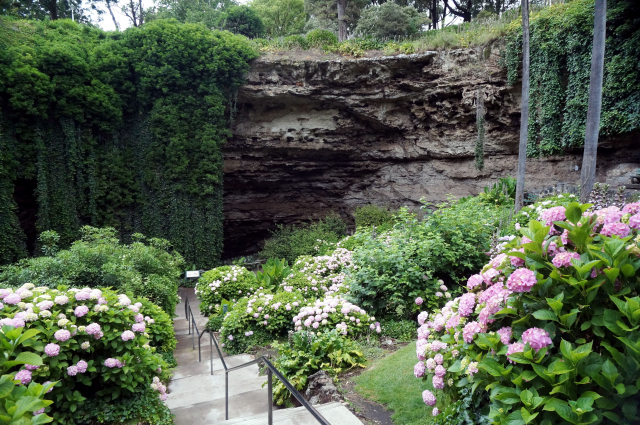 The Umberston sinkhole in Mount Gambier was developed as a garden in 1886. It was a pleasant resort to escape the summer heat.